I think Shepherd’s Pie is one of the ultimate comfort foods. It reminds me of my childhood and especially church potlucks. The mashed potatoes were of course the best part, right? 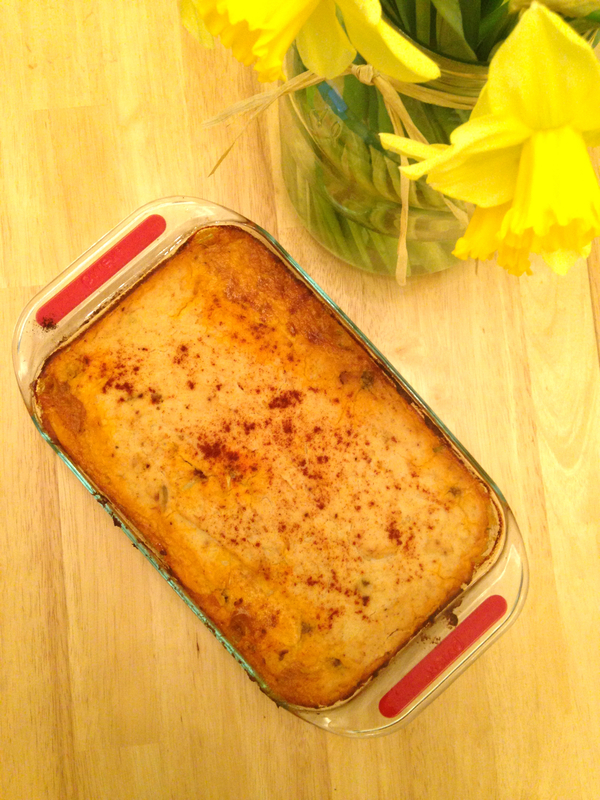 I’ve tried a few paleo versions of Shepherd’s Pie and finally tweaked enough until I’ve got one that I’ll stick with. The main difference for me is in preparing the mashed cauliflower (faux mashed potatoes). Most recipes call for you to steam the cauliflower before mashing it, but I always find that this makes mine too runny and not close enough to the texture of real mashed potatoes. 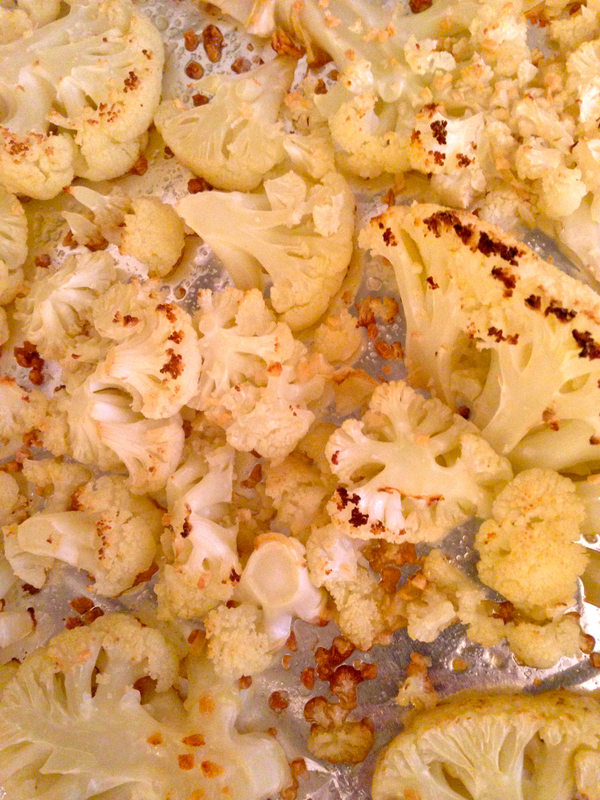 This time I tried roasting the cauliflower instead and the texture was perfect! My little guy was shoving this into his mouth by the messy handful and Charley managed to swallow five bites, so I am definitely considering this a picky toddler approved recipe. (She did, however, refer to it as the Pie of Bravery, and suggested that maybe next time I should call Nana and ask for her recipe). 1) Heat a large pan over medium heat and add coconut oil. 2) Throw in your onions, garlic, carrots and broccoli and fry for approximately 5 mins or until they begin to soften. 3) Crumble your meat into the pan, season with salt and pepper, and cook for 5-10 minutes or until browned and cooked through. (My pan isn’t very large, so I actually had to scoop out some of the vegetables to make enough space for the meat to cook evenly. Once the meat was cooked through, I add the vegetables back in). 4) While the meat is cooking, preheat your oven to 400 degrees. Chop or slice your cauliflower (I slice the cauliflower into about 1 cm thickness so it will roast faster) and spread it on a baking sheet lined with parchment paper and olive oil or coconut oil. Sprinkle with salt and pepper. For a little extra kick you could sprinkle with some minced garlic as well. Roast at 400 degrees for approximately 25 minutes or until the cauliflower just begins to brown. Remove when roasted but leave the oven set at 400 degrees. 5) Once the meat is cooked through and is no longer pink, add your beef broth, tomato paste, coconut aminos, rosemary, thyme and 1tsp of paprika. Taste and add salt if necessary. 6) Bring the mixture to a boil and then let it simmer while some of the excess liquid dissolves and the flavours meld. 7) While the meat and vegetables are simmering, puree your roasted cauliflower in your food processor, Vitamix, or blender. I did not need to add any liquid to mine, but if it seems to dry then add some bone broth, water, or coconut milk, just a tablespoon at a time. I prefer it on the dry, fluffy side. 8) Remove your meat and vegetable mixture from the pan and press it into a 9×11 baking dish. Spread the mashed cauliflower on top, and sprinkle with the remaining 1/2 tsp of paprika. 9) Bake it for about 25 minutes or until the top is nice and browned. Enjoy! *This recipe is paleo and Whole30 approved. I posted on my Facebook page last week, asking for people to leave any questions they have that they would like answered in a blog post. I’ll be working on answering these questions as they come up. Please feel free to shoot me an email (joanna@wellnesswithjoanna.com) or leave a comment at any time with questions! Here’s a great one that I think a lot of people get confused about. Question: What is the difference in “terms” you see in your grocery store? Organic, grass fed, grass finished etc. They all sound healthy but I’m sure some of it is marketing and you aren’t getting what you think you’re buying. Answer: Yes, a lot of it is marketing! Here’s a list of some common terms and labels and my simplified definitions. 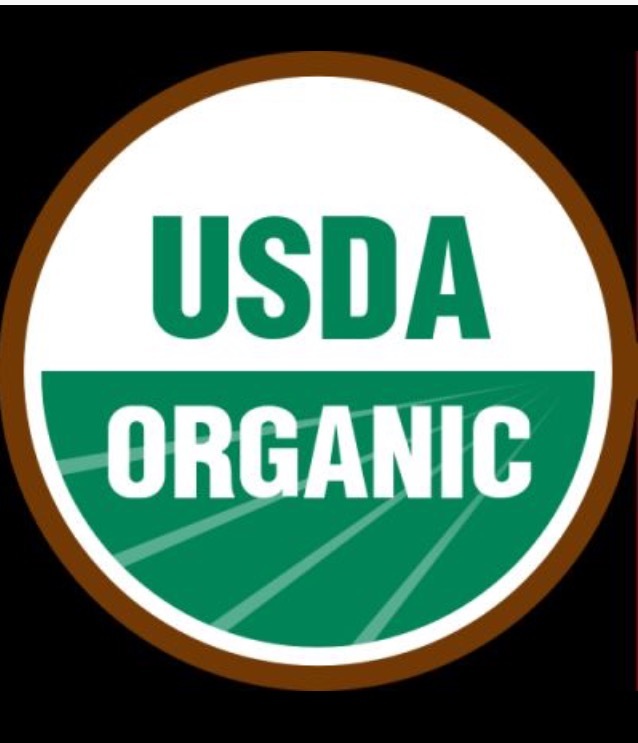 Organic: If a food is labeled organic, then it means that no synthetic chemicals have been used to grow it or make it. That means no GMO ingredients, food additives, antibiotics, sewage sludge (yes, this is used in conventional food! ), or pesticides. Animals must be fed organic feed without animal byproducts. Natural: In the USA, this term really has no meaning. It is not regulated at all, and so can be used by anyone on any product. Of course the term implies minimal processing, but because it is not regulated, it cannot be trusted and is often used to trick consumers into paying more money for a less than desirable product. However, in Canada, the term is regulated and can only be used as a label on foods that do not contain any food additives, artificial flavouring, and have not been significantly altered by processing. Cage Free: This means that the animals were not raised in cages, but does not tell you what the animals were fed or describe any other living conditions. These animals could still be packed into barns with no room to move and no access to pasture. Pastured: This indicates that the animal has been raised outside, but it does not tell you the amount of time spent outside. (It could be outside for a very limited time each day, making the term misleading). Free Run: Free run hens are not confined to life in a cage, but are allowed to only roam on the barn floor. They are not required to be allowed access to outdoors, and they eat the same feed as conventional hens, including antibiotics and hormones. Grass Fed: Grass Fed is a term that is quickly becoming over used and misused. Originally, grass fed implied that the cow was raised on grass exclusively, and allowed to range free. Recently, because of the increasing demand for grass fed beef, the term has sometimes now been used to describe cows that have been only partially grass fed. Often, farmers will feed the cow grain to sweeten and fatten the cow for a few months before it is butchered. This alters the nutrition immensely (negatively). This is one example of the importance of knowing where your food comes from. 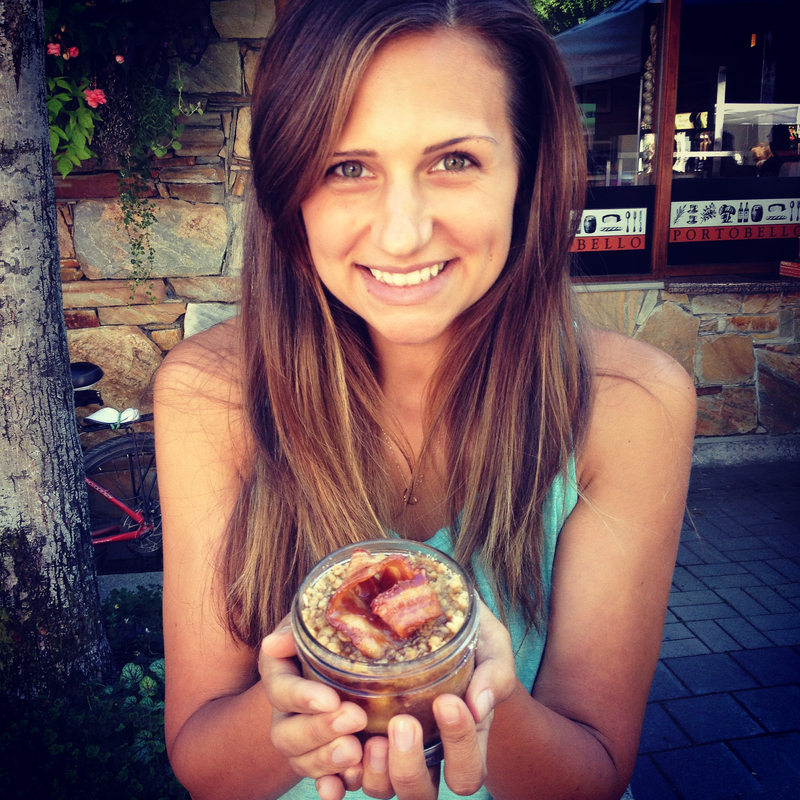 Get to know your local farmers and the people you buy your food from! Grass Finished: This means that the cow has been grass fed for the entire duration of it’s life. No grain, no corn and no antibiotics or hormones. Hormone Free: This means that no synthetic hormones were administered to the animal at all. This one is tricky and often used to mislead consumers into paying a higher price for food than is necessary. Federal Law permits the use of hormones in poultry or hogs, but the meat is often labeled ‘Hormone Free’ anyway. Do not pay more for chicken labeled hormone free, as it is no different than chicken without the label. However, keep in mind that ‘hormone free’ still does not tell you what the chicken has been fed or how it was raised (humanely or squished into horrible cages). Antibiotic Free: This means that no antibiotics were used over the animal’s lifetime. Again, this is a good thing, but still does not tell you how the animal was raised or what it was fed. Farmed (referring to seafood): This means that the fish have been raised in tanks or enclosures. They are often contaminated, given antibiotics, and have two to three times less Omega 3’s than wild fish. Wild Caught (referring to seafood): This means the seafood has been caught by fishermen in the open water, in their natural habitat. Any more labels you’ve been seeing in your grocery store that are confusing? Leave a comment and I’ll add it to this list. My local butcher shop sells the most amazing chorizo sausage. I pick up a pack each week and try to find something new to do with it because it is just so delicious and packed full of flavour! Tonight I used it to top my pureed soup and give it a kick. Mission accomplished. 2) Combine your chopped leek, pepper, garlic, yams, and apple in a large bowl. Toss with the olive oil, then sprinkle with the sage and a pinch of sea salt and toss again. 3) Spread your mixture onto a lined baking sheet and roast in the oven for 30-40 minutes or until yams are soft. 4) About 15 minutes before your roasting time is up, toss your kale pieces in some olive oil and spread on a lined baking sheet in a single layer. Sprinkle with sea salt and pepper and throw in the oven for 15 minutes while your vegetables finish roasting. 5) While your vegetables are roasting, melt your coconut oil in a large frying pan over medium heat. Remove the casing from your chorizo sausage and crumble the sausage into your pan. 6) Fry the sausage until it’s cooked through and then transfer it to a serving dish. 7) When your vegetables and kale are finished roasting, remove both pans from the oven. Let the kale chips cool and then transfer to a serving dish. 8) When the vegetables have cooled, transfer them to a blender, add the beef bone broth, and puree until smooth. Pour into a large soup pot and simmer on the stove for 5-10 minutes. Alternatively, throw the roasted vegetables and bone broth into the soup pot and blend with an immersion blender until smooth. 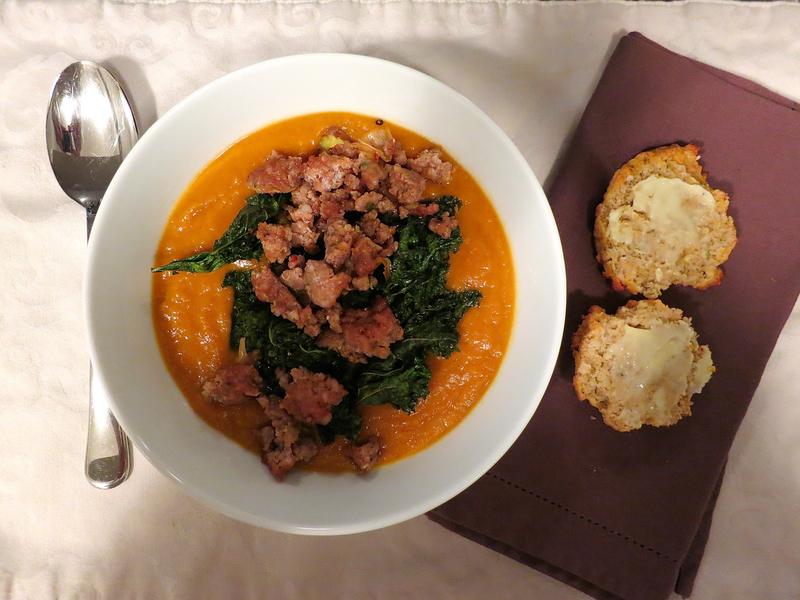 9) Once the soup has been simmering for 5-10 minutes, ladle it into your bowls and top with kale chips and chorizo sausage. Enjoy! I really wanted to add some sharp raw cheese to these biscuits, but I don’t tolerate it well. If you are able to tolerate raw dairy, then I think it would be delicious in these biscuits. 2) Separate your egg whites and yolks into two bowls. Beat your egg whites until they are foamy and begin to form soft peaks. 3) Add your honey to the egg yolks and mix to combine well. 3) Fold your yolks and honey into your egg whites and mix softly until combined. 4) Combine all your dry ingredients into a bowl and then cut your butter into the dry mixture, using a fork or pastry cutter until it is crumbled. 5) Gently combine your egg and honey mixture with your dry ingredients until mixed well. Wait a few minutes for the coconut flour to absorb the excess liquid. 6) Using a large spoon or ice cream scoop, scoop your biscuits onto a lined baking sheet, leaving an inch in-between. Depending on the size of your scoop, the recipe should yield about 6-8 biscuits. 7) Bake for approximately 20 minutes. Allow to cool and then slice and enjoy with grass fed butter on top. Only two more days! Congratulations to everyone who has held on this far. Now the most important part is coming next: Life After Whole30. Don’t mess this up! Carefully re-introduce foods in the proper manner. You’ve worked hard so please don’t throw it all away now. Of course, I took this on as a challenge to prove that it IS all possible, and that it’s not that difficult or time consuming with a little guidance and prep work. We had two short trips almost back to back, giving me two opportunities to test out my ideas. 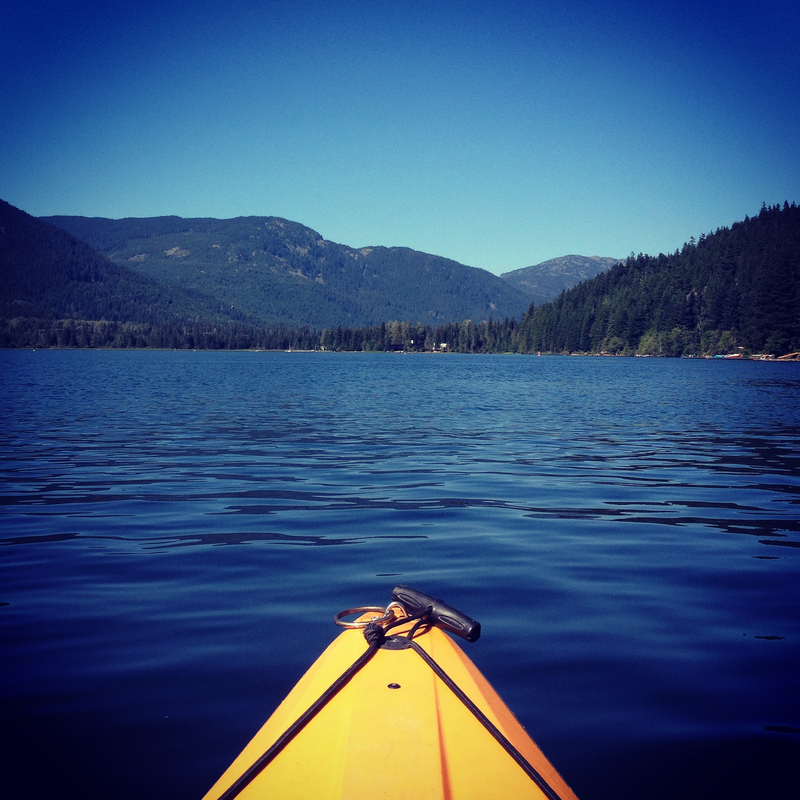 (Read Part 2 – Camping to see how we stayed healthy on our road trip to Alberta). 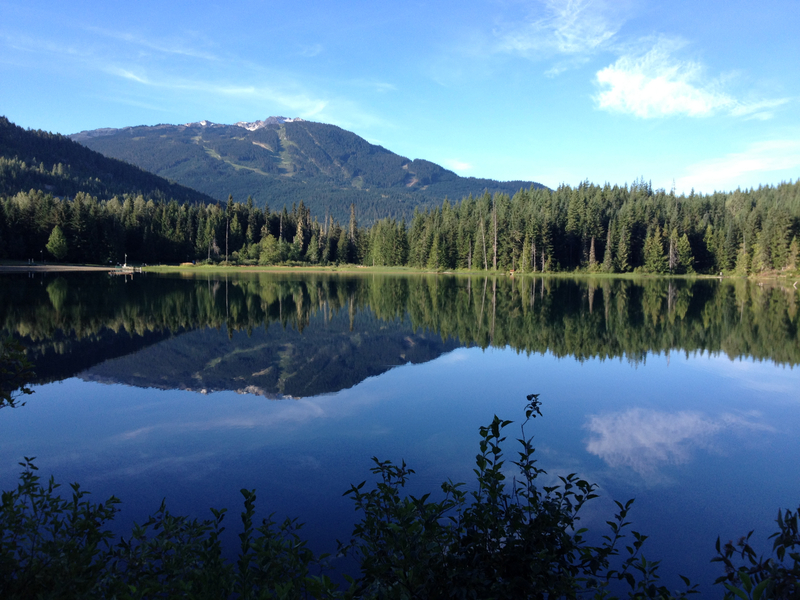 First, we got to spend a weekend in Whistler with our good friend and her daughter. We stayed in a lodge with a full kitchen, making this the easier of the two challenges. Still, we only had 2 nights there, and I wanted to spend as little of that time in the kitchen as possible, so I prepped almost everything ahead of time. 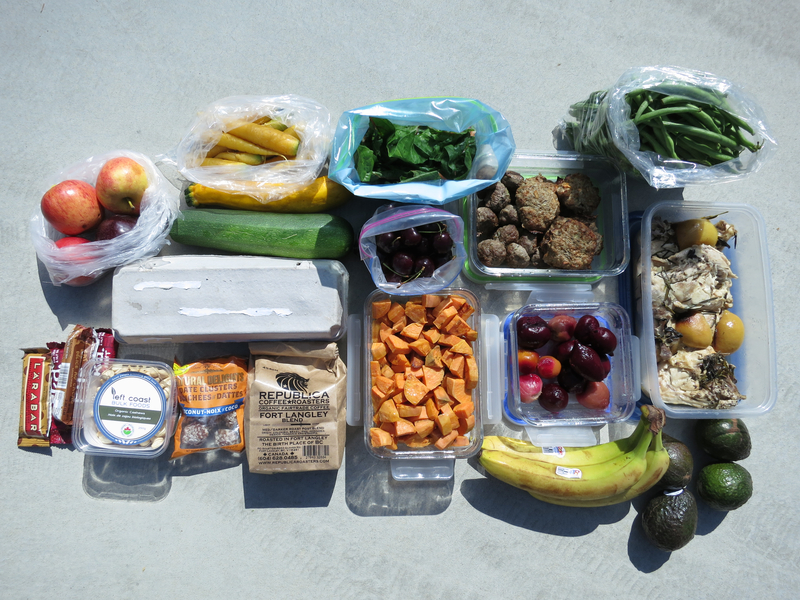 At first glance, all that cooked food may look like a lot of prep work, but it really wasn’t. I like to keep it simple and use shortcuts. For the chicken, I threw it all in a crockpot the night before with about 1 tbsp of rosemary, 1 tbsp of basil, 1 sliced lemon, salt and pepper, and drizzled olive oil on it. I let it cook all night on low, then let it cool in the morning and packed it away in tupperware. This took about 5 minutes of hands on time. For the beets, I also used the crockpot. I scrubbed them, threw them in the crockpot and covered them with an inch or two of water. I cooked them on high for 2 hours. Once they cooled, I slid off the peels and then packed them in tupperware. Maximum ten minutes of hands on time. The meatballs and sausage patties were what took the most time, and so I doubled both recipes knowing that I could use the extra for camping the next week. For the meatballs I used the Greek version of Melissa Joulwan’s meatballs. I packed half of them in a tupperware and froze the other half in a ziploc freezer bag for camping. For the sausage patties, I used my absolute favourite homemade sausage recipe from Stupid Easy Paleo, found here. I did the same as I did with the meatballs, packing half in a tupperware container and freezing the rest in a ziploc freezer bag for camping the next week. This only took about 30 minutes of hands on time the night before our trip. While the meatballs and sausage patties cooked in the oven, I peeled and chopped about 6 small yams. I fried them in coconut oil but left them slightly hard so that they wouldn’t get mushy over the next few days. This took about 15 minutes of hands on time, and about 15 mins of frying time. Spending the small amount of time to do this ended up saving us a ton of money (dining out in Whistler is expensive! ), a lot of frustration and exhaustion trying to keep our two wiggly children quiet and entertained at restaurants, and left us with so much extra time to explore and have fun. Try it, I know you can do it! I woke up to the sound of pouring rain this morning and immediately thought to myself that today is a good day for stew. A couple of hours later I got a text from my sister in law asking if I had any good stew recipes. Great minds think alike! There’s just something comforting about curling up with a bowl of hot stew while the rain comes down outside…. Ha! Who am I kidding? No mom ever gets to eat their stew while it’s still hot. I’m usually scarfing down my dinner as fast as I can while simultaneously doing the airplane move, trying to shovel food into my 1 year old’s mouth and chanting “You can do it!” to my 3 year old, desperately trying to convince her to eat her carrots. Bonus points if I can get the dirty dishes loaded before the 1 year old climbs out of his high chair and starts climbing right into the dishwasher. 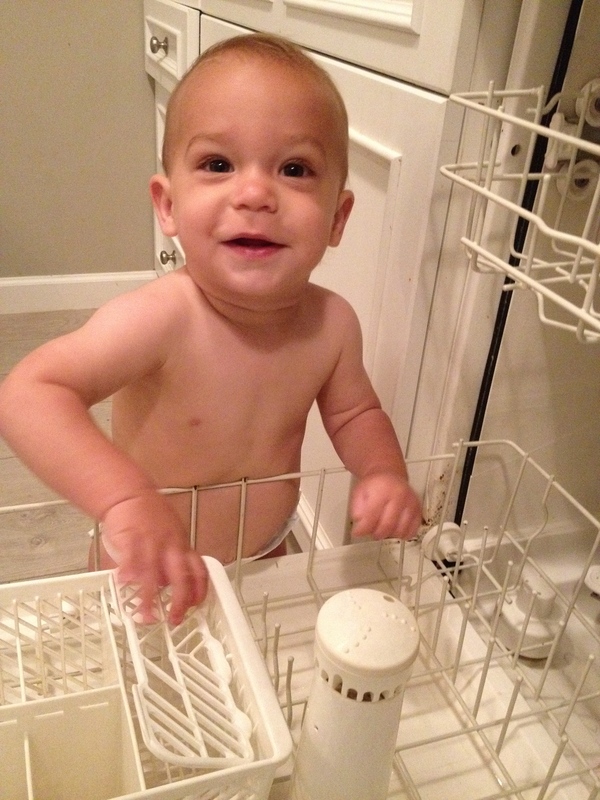 What is it with babies and dishwashers? Good thing he’s so cute! Back to the stew. It takes some time, but the end result is completely worth it. Serve it with a side salad and enjoy! 1) Preheat your oven to 300 degrees fahrenheit. 2) Dry the stewing beef by blotting it with paper towel. Toss it in the steak spice to coat it evenly. 3) Heat a large saucepan over medium-high heat and melt the coconut oil in it. Working in batches if necessary, brown all sides of the beef in the pan. Don’t crowd the beef, give it lots of wriggle room to properly brown the sides. Remove the beef to a dutch oven or large, deep casserole dish with a lid. 4) Pile the yams, carrots and parsnips on top of the beef. 5) Return to the same saucepan and add your onion, rosemary and thyme. Saute for a few minutes to soften. Add the bone broth and balsamic vinegar and bring to a boil, all the while scraping the bottom of the pan with a wooden spoon to get all the juicy beefy bits. 6) Pour the contents of the saucepan into your dutch oven or casserole dish, put the lid on, and place it in the oven for three hours, if you can wait that long. The delicious aroma will drive you crazy while you wait! Enjoy.